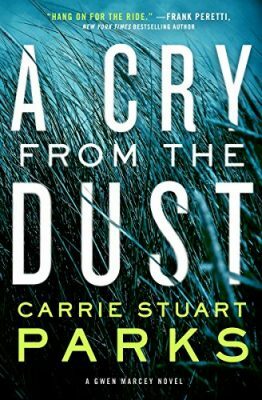 Being a subscriber to Deb’s Book Blast automatically qualifies you to be in the draw to win the ebook version of this 2015 ACFW Carol Award winner. I’ll announce the winner of the draw at the end. I learned a lot about art while doing research for the Art Spotlight Mysteries. Here are some of them. Book one in this series took me into the controversial world of graffiti. While common graffiti is a nuisance no matter what property it defaces, some of the more clever graffiti actually increases the value of property. Banksy, the world foremost street artist who remains anonymous after more than 25 years, is the most obvious example of this. He collaborated with artist Damien Hirst to make “Keep it Spotless,” a stencil of a maid lifting Hirst’s spotted canvas to sweep dirt underneath it. It sold for $1.8 million at auction. See it here. Whole walls which have been stenciled by Banksy have been removed to be auctioned off at high prices. His identity is still shrouded in mystery and remains unknown, although he has compiled a book of his work called Wall and Piece. In 2004, Banksy printed a batch of spoof £10 bank notes. These featured a couple of differences to the standard run – the Queen’s head was replaced by an image of Diana, Princess of Wales, and instead of “Bank of England” the text read “Banksy of England”. In 2007, Banksy won the award for Art’s Greatest Living Briton but, naturally, didn’t attend the event to collect the prize in person. Banksy, more than any other artist, has blurred the lines between traditional art and vandalism. I patterned my fictional character Zaxx after him. Whether it’s sweet and innocent or awful and objectionable, Banksy’s cleverness always seems to draw a crowd. If Banksy painted slightly objectionable graffiti on your fence, would you paint it over? The second book in this series took me into the fascinating world of forgery. I learned amazing things about forgers. Did you know it’s not against the law to copy the work of a long dead artist? The crime comes in trying to pass it off as an original. This intent to deceive can be extremely hard to prove. He inserted more than a thousand forgeries into the art world. Many have not been exposed and still hang in museums. Altogether, the de Hory forgeries are estimated to have sold for more than $50 million dollars in today’s value. A Texas oil magnate bought 56 of his forged paintings. De Hory was never charged with forgery because the court couldn’t prove he had ever created forgeries on Spanish soil. His reputation as a forger brought him fame and name recognition, but since his death in 1976, fake de Hory’s flooded the market. He posed as a clergyman. He donated all his forgeries to American art museums. He never made money on his forgeries. He apparently forged and donated them to gain attention, advantages and accolades as a philanthropist. He forged a large number of paintings but never conclusively broke the law. To prove criminal liability against a forger, the court has to prove the defendant had intent to defraud. The evidentiary burden is very high. He got started forging because of a need for money but continued his craft to prove he could fool the experts. He says a forger’s chief motivation is typically intellectual gamesmanship. When an artist’s own work is spurned by art experts, he may turn to forgery to fool the art world that has overlooked him. The forger considers himself a renegade genius and believes the art experts are the real frauds. Now that the statute of limitations has expired for his crimes he has written a detailed account, Caveat Emptor, of how he made and sold his forgeries. A painting can be worth a million dollars one day, but if it is found to be a forgery, it’s totally worthless the next day. The painting hasn’t changed; only the perception of it. Makes you think, doesn’t it? According to forgers, many forgeries hang on museum walls undetected. But you can see why museums don’t work harder to detect forgeries. Detection would turn their valuable paintings into worthless images. Writing the third book in this series taught me about two real-life child artist prodigies who have similar stories to my protagonist, Destiny Champion. Their examples demonstrate clearly how early success is often damaging to the life of a child. At age three she held her debut art exhibition in a coffee shop. By age four her abstract art had attracted international media attention. Even before she started school, she was getting calls from Oprah, The Today Show, and Good Morning America. Several of her paintings sold for as much as $15,000. Marla’s work remains controversial. Some believe she was the first abstract expressionist child prodigy. Others believe her father coached her and any ordinary child could have painted as well as she did. A resident of Australia, she started painting when she was 9 months old. Her first solo exhibition, “The Prodigy of Color,” took place when she was four years old. The show included 24 paintings, all of which reportedly sold for between $4,000 and $10,000. Her second solo exhibition, “Secret Universe,” was held in the summer of 2012 at New York’s Agora Gallery. Time, The Washington Post, The Sydney Morning Herald, ABC News and the New York Post all gave positive reviews of her early success. Aelita’s work, also classified as abstract expressionism, is highly controversial. While it does bear resemblances to Jackson Pollock’s it’s hard to judge a painting of splatters and scribbles objectively. Some say Aelita’s a child prodigy. Others believe her work may be a joke on a self-important art world. Do you think child prodigies should be widely publicized? Or should their parents conceal their talent until they’ve finished their childhood? Why? Now for the free drawing. 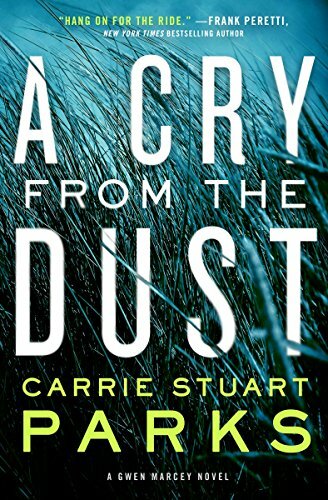 I have randomly picked a winner from my subscribers list to receive the ebook version of A Cry from the Dust by Carrie Stuart Parks. And the winner is … Trude Hunsucker. Trude is a farmer’s wife from Polson, Montana. I gave this book a rare 5-star Goodreads review. As I said in March, Carrie is a forensic artist in Idaho and she graciously gave me helpful advice about art for I Scream. She mixes humor with suspense that pulls you quickly through her book. The connection with Mormonism brings high stakes of an unusual kind. I read and enjoyed this, her debut novel, and the next two in the series, The Bones Will Speak and When Death Draws Near. Carrie has won numerous awards including the 2017 Christy Award and the 2017 Carol Award. If you didn’t win this time, you have one more opportunity in 2018 to win an ebook by another Christian author. November’s winner will receive Not in the Heart by Chris Fabry. In November, every Book Blast subscriber will receive a free, inspiring true short story.